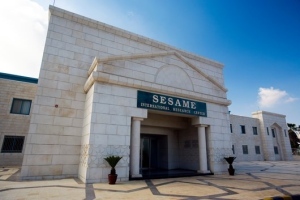 Based in Allan, outside Amman, Jordan, SESAME aims to build scientific expertise in its member countries and bolster cultural ties between them. When completed, the $110-million machine would be the Middle East's only source of high-intensity synchrotron X-rays, which are used in fundamental research ranging from molecular biology to materials science. The project mirrors the organization of CERN, but Amman is a long way from Geneva — metaphorically as well as literally. In recent years, SESAME has had to contend with the assassination of two members of its Iranian delegation and huge political upheavals in partner countries including Egypt. Despite the tensions, scientists involved with the project say that SESAME is succeeding because it has something to offer all the participants. Israel, for example, gets a world-class research facility on its doorstep and an opportunity to show its willingness to collaborate with neighbours, says Eliezer Rabinovici, director of the Institute for Advanced Studies at the Hebrew University of Jerusalem, and a member of SESAME's council. Other member states see an opportunity to educate a young and rapidly growing science base. “Turkey is also interested in developing similar laboratories and SESAME would be a very good experience,” says Zehra Sayers, a physicist at Sabancı University in Istanbul and head of SESAME's scientific advisory committee. Llewellyn Smith is optimistic that the remaining money can be found. Now that local partners have committed funding, the project is more likely to gain support from outsiders such as the United States and the European Union. And other partners in the Middle East, notably Egypt, may yet provide cash, although political turmoil could make commitments difficult. Read the full article here. What's next? A joint observatory between India and Pakistan? Scientific Notation include in the mathematics course. In the world of science some time we deal with numbers which are very small and those which are very large. In some branches of science large numbers while in others very small numbers are used. Science as part of a path to peace, nice! Scientific collaboration as a path to insight in the enemies capacities, people and organisation. Very smart from Israel. Or simply stupid from Iran? National boarders and political bickering are trivial issues and monkey wrenches when delving into matters (..or matter) that may greatly improve or destroy the human species as a whole. Like it or not, we are all in this together. Might as well work together.